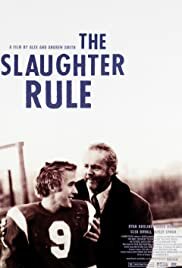 Despite the novelty of its setting, 'The Slaughter Rule' is a fairly conventional coming-of-age tale about a boy who grows into manhood by becoming a member of a ragtag six-man football team. Roy is a teenager trapped in a small Montana town whose life has not been going any too well of late. His father, with whom he had only the most casual of relationships, has been discovered dead on a railroad track, a possible suicide victim. His mother, embittered by their divorce, sleeps around with countless men and has no real inclination to provide her son with any but the most cursory form of maternal affection. 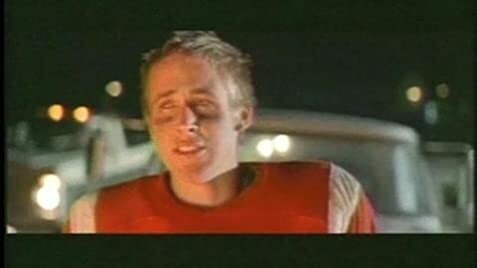 On top of all this, Roy has just been rejected for the school's varsity football team because the coach finds him lacking in the kind of 'anger' he feels a player needs to be a success on the gridiron. When Roy is asked by Gid, a somewhat eccentric older man in the town, to come join his six-man football team, the youth only reluctantly acquiesces (six-man football is a near rule-less poor relation to the real game, one ostensibly only played by farm boys). It is at this point that Roy's growth into manhood begins, since it turns out that the enigmatic Gid, who one assumes will be merely a father figure for the affection-starved youth, may be seeking more than just a father/son, athlete/coach relationship with the boy. This latent-homosexual subtext, in fact, is just about the only element that separates 'The Slaughter Rule' from countless other films in this genre. Most everything else about the film feels derivative and stale: the emotionally distant parents, the promiscuous, psychologically detached mother, the abusive stepdad, the sweet girl who wants to flee this hicksville town as fast and as far as a bus ticket can take her. Towards the end, especially, the filmmakers start to pile up the heartbreaks and tragedies, one on top of the other, almost to epic proportions. One wonders how so much can happen in so short a time to so small a group of people. In the almost two hour running time of the film, only the ambiguity of the Roy/Gid relationship arouses any real interest in the viewer.